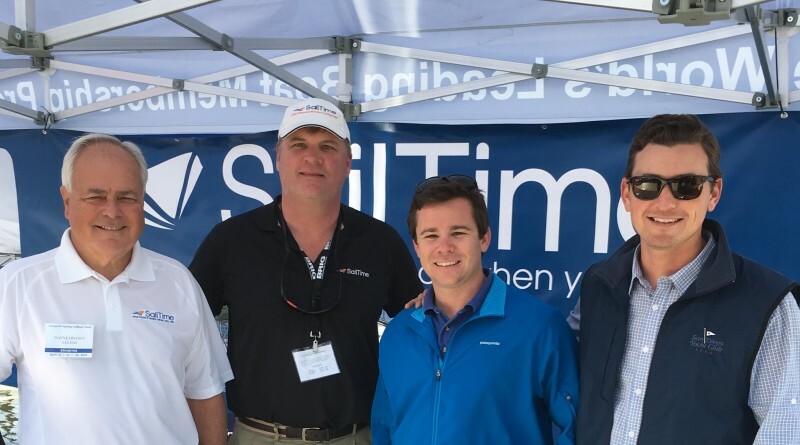 Wayne Diviney, CFO SailTime Group, Todd Hess, CEO SailTime Group, Keenan Hirsh, San Diego base manager, Sean Smith South Coast Yachts. SAN DIEGO — SailTime San Diego has announced the company has been acquired by Harbor Island Sailing Academy Inc.
Harbor Island Sailing Academy Inc. was founded in 1969 and operates Harbor Sailboats, Academy Yacht Sales, and SailTime San Diego, which offers a creative approach to both fractional sailing memberships and boat ownership for new Beneteau yachts, both power and sail. The company is excited to announce Keenan Hirsh as the San Diego base manager. Keenan has been in the marine industry his entire life and holds a U.S. Coast Guard captains license, California Yacht and Ship sales license, and an American Sailing Instructor certificate. At SailTime San Diego, members will enjoy the most ownership-like experience than anywhere else. It’s simple – choose a membership to a specific new Beneteau that fits the needs and goals for you and your family. After professional instruction and orientation aboard your new boat, you’re ready to use the exclusive web based schedule to start sailing. Book a SailTime up to a year in advance or be spontaneous and book a trip just a few minutes before getting to the boat. No matter when, your boat is ready when you are. As an owner of a SailTime yacht, you will receive peace of mind knowing the majority of your expenses will be covered, all while you retain very liberal usage. A SailTime yacht is split into eight shares (seven members one owner), the limited amount of users insures the boat will be well handled. Login to see who’s sailing today or book your SailTime up to a year in advance. Come see SailTime San Diego at the grand opening during the San Diego International Boat Show on June 16-19.